Great progress and really neat work. I am at a similar stage in my project and am planning to buy a spot welder. Please can you tell me the make and model of yours as it appears to work well. Thanks. EDIT - I made a mistake in my previous post! Here's the settings I currently use. Sorry for misleading you! My technique is to rest the fixed probe on the surface of the metal and gently close the handle until the weld has initiated. Expect some splatter, happens nearly every time. 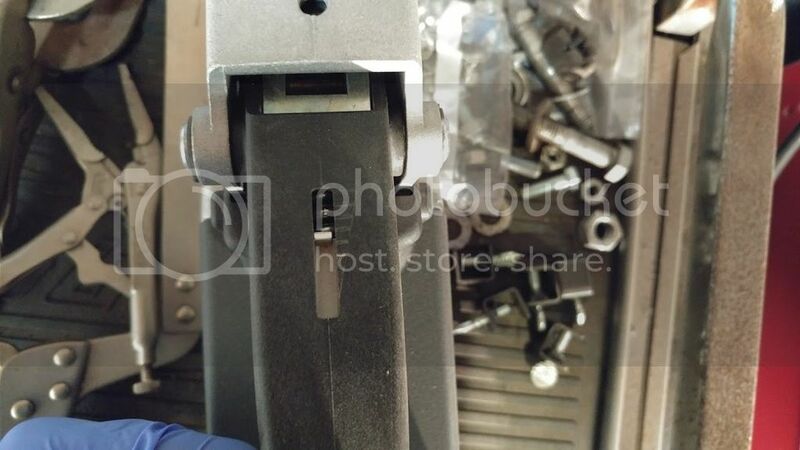 Once the welder has finished its cycle, keep the handle pressed for a couple of seconds and the release. let me know how you get on! Edited by SamG, 29 April 2017 - 07:48 PM. 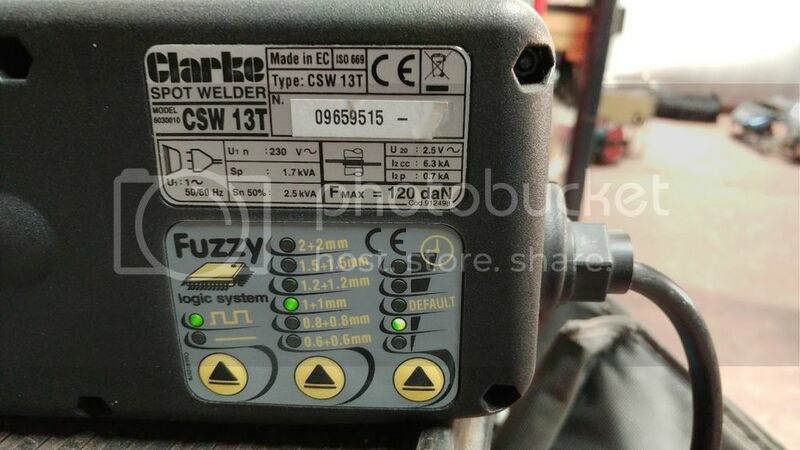 It's a Clarke CSW13T. Does work very well once it's set up correctly, just takes a bit of honing in at the beginning but is well worth it! Great work!! It's clear i haven't got enough reinforcement between my A and B posts to support the car when i removed the floor You guys have done a cracking job! hi mate, nice work like the floor pan, if you dont mind me askign how much was it? Not at all, its an M-Machine assembly, just over £700 delivered if I remember correctly. Yes, they changed over from the 'Remote' change to the 'Rod' change around the end of '72 ish. Exactly when is a bit of a grey area but most, if not all 73's have have rod change tunnels as far as I know. Great job, you will definitely have a solid mini after this. My '73 has a rod change, so looks like the change over dates were around there somewhere. Looking really good, some quality restoration work going on there. Keep it and t6he updates up. can you settle and argument for me please with a mate of mine?! Has your car got ash trays in the rear bins? Yes it does! Or at least it did before I ripped the bins out back along! Wow, what great work you guys have done here. Glad to see you saving another mk3. Superb!! Managed to get both arches finished off with the little closing panels to the floor welded in. I've also managed to get the inner sills spot welded to the door steps, so that's that little section ticked off too. So lots of hard work over the next month or two before the baby arrives! I've also started using this primer to spray over the bare metal after ive finished welding etc. When it dries leaves a 90% zinc coating giving excellent protection against corrosion by all accounts! It'll be at least a year before the car sees any actual paint so I wanted something better than the porous Etch primer I had been using up until now!